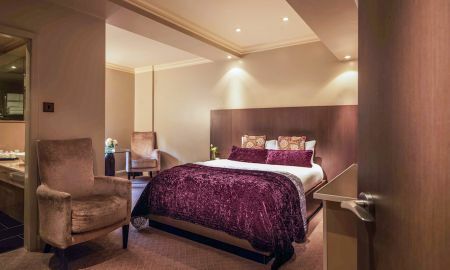 Part of Edwardian Hotels London, the Radisson Blu Edwardian Bloomsbury Street Hotel provides luxurious accommodation opposite one of London's most popular tourist attractions: the British Museum. 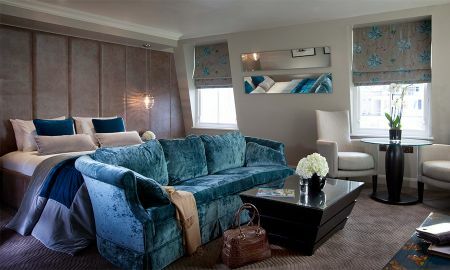 The area's literary heritage also comes to life in the hotel's spacious lobby with a stunning display of pages from Virginia Woolf's famous book, Mrs Dalloway. A wrought-iron staircase and sleek public spaces with modern art complete the hotel’s stylish atmosphere. 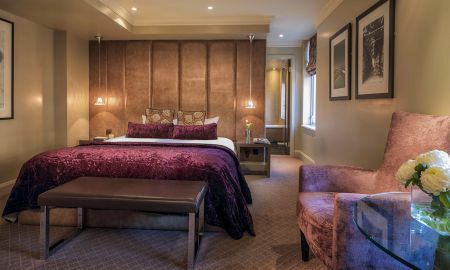 The hotel’s 174 bedrooms combine contemporary elegance and modern comforts, including luxurious Egyptian cotton bedding, down pillows, Italian marble bathrooms and cutting-edge technology such as free high-speed Wi-Fi on unlimited devices. 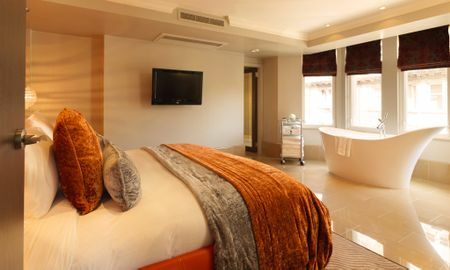 Those seeking extra private, peaceful luxury can check into one of the exclusive Seventh Floor's spacious business class king rooms and studio suites: all with great views of the skyline. All bedrooms feature premium skincare brand REN toiletries. Steak and Lobster serves only the best ingredients from land and sea, cooked in a modern, rustic style. Succulent rib-eye, flat iron and sirloin steaks, lobster (chargrilled or steamed, with lemon and butter) and a mouth-watering range of fresh salads and toasted brioche rolls are all on offer. An exquisite cocktail menu is also available, as well as afternoon tea. Alternatively, just across the road traditional British cuisine is served using only the finest locally-sourced, seasonal produce at Scoff and Banter, restaurant of sister hotel The Kenilworth. Guests can also enjoy 24-hour access to the hotel's fitness room, and nine private meeting rooms. 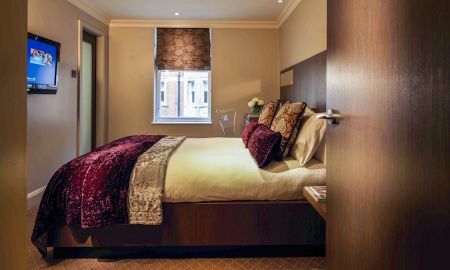 The Bloomsbury Street Hotel is situated just 50 metres from the British Museum in the heart of London’s West End. Soho and its clubs, bars and music venues are all a stone’s throw away, as is Oxford Street and its shops. 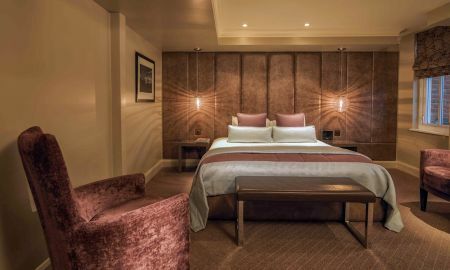 The University Quarter, Fitzrovia and Charlotte Street are within walking distance, as are Regent's Park, the West End theatres, Holborn and the Inns of Court, and the Museum of London. The nearest underground stations are Tottenham Court Road on the Central and Northern Lines, and Holborn, on the Piccadilly and Central Lines. The underground provides direct access to other parts of the city, and the nearby Eurostar at King's Cross St Pancras station connects London to Paris and Brussels.